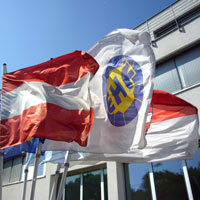 A draft version of the document describes the future cooperation of EHF with the European clubs. At their 6th meeting on 11 February 2010 in Vienna, the EHF, the GROUP CLUB HANDBALL EEIG leadership representing the top clubs of Europe and the EHF Finance Delegation finalised a draft version of a “Memorandum of Understanding” that describes the future cooperation of clubs and the EHF, respectively the basis for a future Professional Handball Board (PHB). The draft needs to be approved by the EHF Executive Committee and confirmed by the next Ordinary EHF Congress, taking place on 24/25 September 2010 in Copenhagen and by the 3rd General Assembly of FORUM CLUB HANDBALL, taking place on occasion of the 1st EHF Champions League FINAL4 on 29 May 2010 in Cologne. The basis for the future FORUM CLUB HANDBALL, which is foreseen to represent the clubs' part in the PHB, is the participation of clubs in CL/EC competitions. + all national champions of the 2009/10 season from countries not yet represented in the other groups.